Prospective Patients that have recently been involved in an Auto Accident, This page is for you. Auto Accidents can happen at any time and there is never a good time for them. If you're lucky you will only sustain a soft tissue injury and at worst broken bones and neurological issues that can last a life time. The worst issues are usually treated at the Hospital. Once those issues are taken care of, the soft tissue needs to be addressed. Chiropractic is a perfect form of treatment for these soft tissue injuries, but let's not forgets about those headaches and other organic symptoms that Chiropractic can help. 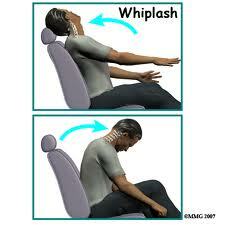 Whiplash is very common and can affect the central nervous system. The Central Nervous System is involved in every function of the body. A disruption of this system can have long lasting effects. Chiropractic can lead the way in repairing damage a Car Accident has done to this system. You may ask yourself how Chiropractic helps the Soft tissue and the Central Nervous system. Here is the answer; A Chiropractic Adjustment will take pressure of the nerves that are being pinched. 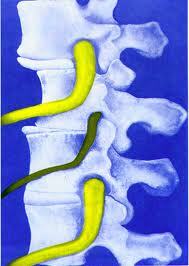 The vertebras get misaligned in an Auto Accident, by the pure force of the impact. This impact will cause the vertebras to Subluxate. Subluxation is a term used to describe a vertebra affects on the body due to a misaligned vertebrae. If you get into a Car Accident and you feel fine, it is very important you get evaluated. In most cases the Subluxation does not produce problems right away. It may take weeks to months before the problems arise. If you think that a Whiplash or back injury had accrued also get evaluated right away. The sooner treatment begins the better the outcome will be. Long lasting injuries are very difficult to resolve and may require a lengthy treatment plans. When you arrive at Price Chiropractic for an Auto Accident, the Doctor will do an Examination and X-rays to evaluate the injured areas. Also a SEMG (Surface Electromyography) will be preformed to document muscle and nerve damage. Then a complete treatment plan will recommended to you. We offer a wide verity of treatments for Car accident Patients and the Doctor will answer any questions that you have. We will take most Car Accident cases on a lien and wait for payment. There is no out of pocket cost to you. Price Chiropractic has a Personal Injury Attorneys that we work with. These Attorneys have been handpicked by Dr. Price. He feels they are the ones that represent the patients the best. If you have any question please call Dr. Evan Price at 480-947-3979 and ask for the Doctor.